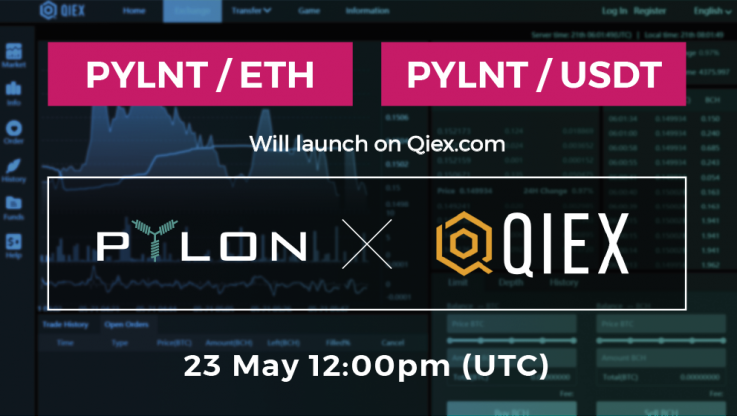 Happy to announce the addition of PYLNT on QIEX exchange! The market will open on Wednesday May 23 at 12:00 (UTC). This is the third exchange to be listing Pylon Token (PYLNT). QIEX is an exchange based on Asia. Currently, the exchange platform has only 15 projects listed, however, QIEX itself affirms that all the projects they list have been correctly identified and audited. In addition, the team is actively adding more outstanding and public interest projects. At the moment you can register, but you will have to wait until Wednesday, when the two pairs will open and with them, the ability to make PYLNT deposits. You can register in QIEX Exchange by clicking here. As we announced a while back, PYLNT will also be listed in LesCovex exchange. The opening date of the exchange platform is expected very soon. See press release for more details. So, make sure you stay tuned through our communication channels, which you can find below.